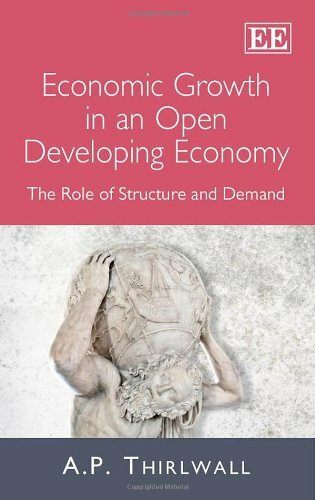 [PDF] Economic Growth in an Open Developing Economy: The Role of Structure and Demand | Free eBooks Download - EBOOKEE! Description: This concise yet insightful sequel to the highly acclaimed The Nature of Economic Growth provides a comprehensive critique of both old and new growth theory, highlighting the importance of economic growth for reducing poverty. A.P. Thirlwall illustrates that orthodox growth theory continues to work with 'one-good' models and to treat factor supplies as exogenously given, independent of demand. Orthodox trade theory still ignores the balance of payments consequences of different patterns of trade specialisation when assessing the welfare effects of trade. The author goes on to present theory underpinned by up-to-date empirical evidence that factors of production and productivity growth are endogenous to demand, and that the structure of production and trade matter for the long-run growth performance of countries because of their impact on the balance of payments. He concludes that trade liberalisation has proved disappointing in improving the trade-off between growth and the balance of payments. This book will provide a challenging read for students and academics in the fields of economics, heterodox economics, and development. Policymakers focussing on the relationship between growth, trade and the balance of payments will also find the book to be of great interest. No comments for "[PDF] Economic Growth in an Open Developing Economy: The Role of Structure and Demand".